Animated Anatomies explores the visually stunning and technically complex genre of printed texts and illustrations known as anatomical flap books. 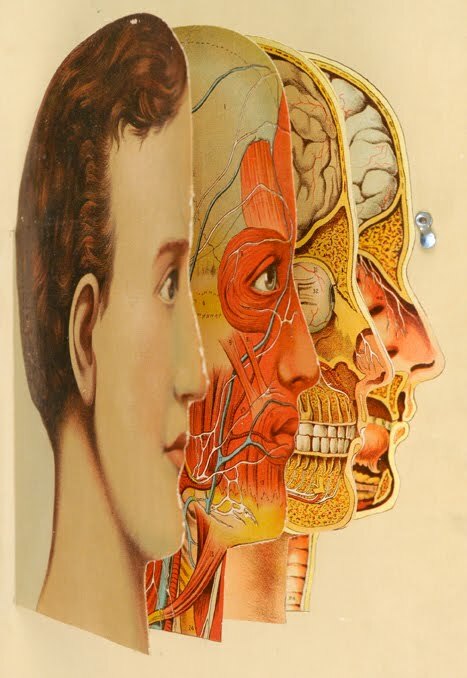 This exhibit traces the flap book genre beginning with early examples from the sixteenth century, to the colorful “golden age” of complex flaps of the nineteenth century, and finally to the common children’s pop-up anatomy books of today. The display—which includes materials from the Rare Book Manuscript and Special Collection Library at Duke University, the Duke Medical Center Library & Archives’ History of Medicine Collections, and from the private collections of the curators of the exhibit—highlights the history of science, medical instruction, and the intricate art of bookmaking. 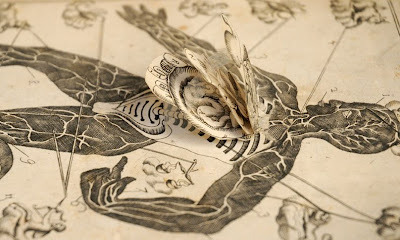 Through the hands-on process of exposing layer after layer of anatomical illustrations, flap books mimic the act of human dissection, inviting the viewer to participate in a virtual autopsy, so to speak. Whether it’s a sixteenth-century hand-colored treatise on the layers of the eye or a nineteenth-century obstetrical guide in 3-D for performing cesareans, these books draw the viewer in. Over time, as advances in both science and printing promoted more widespread medical kno wledge, anatomical flap books began to appeal to more general audiences eager to learn about their own bodies’ inner workings. Technological developments in machine printing also allowed for more colorful and precise illustrations than the hand-colored treatises of the early modern period. A symposium was held on April 18 and we hope to have videos posted from this event soon. 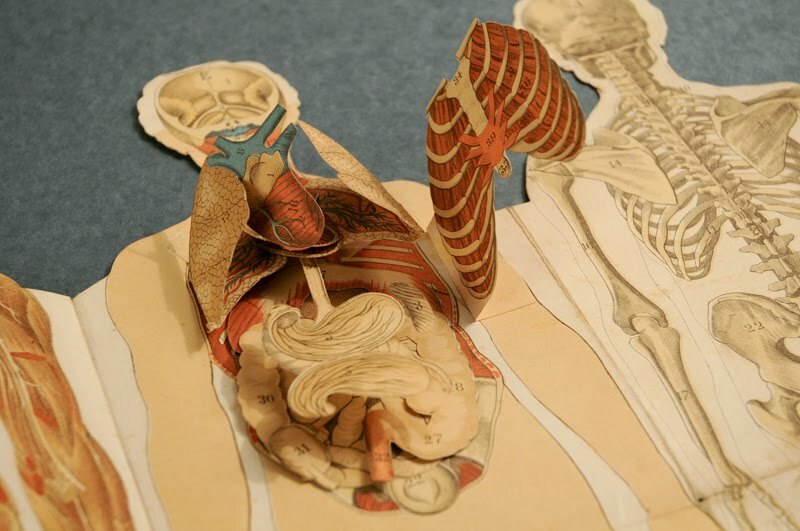 To learn more about the symposium, exhibit, see photos of anatomical flap books, and watch videos of them in action, visit the exhibit website. For more information, contact Meg Brown at meg.brown@duke.edu or Rachel Ingold at rachel.ingold@duke.edu. The exhibit will be up through July 17, 2011, and is free and open to the public. This fantastic looking exhibition will be on display in the Perkins Gallery, Perkins Library, at Duke University, Durham, North Carolina, until July 17, 2011, and in the History of Medicine Gallery in the Medical Center and Archives Library from April 13-July 17, 2011. To find out more--or to pay a virtual visit!--check out the exhibition website by clicking here.